MINDeSEA. 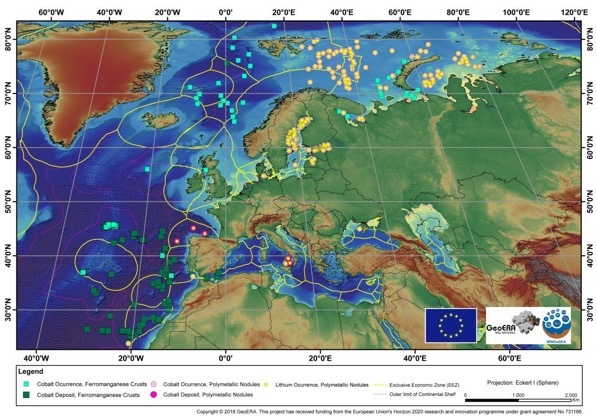 First submarine maps of energy-critical elements around the European Seas. 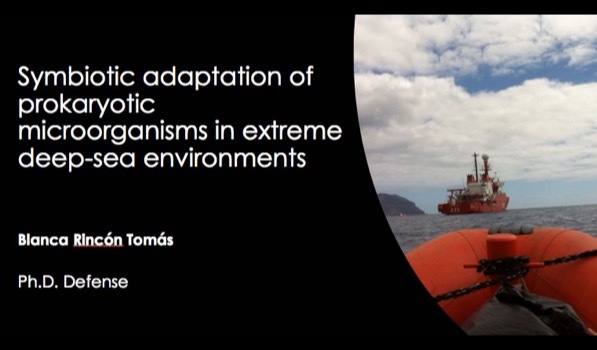 Our PhD student, Egidio Marino, second prize at the PhDay at the Complutense University of Madrid. 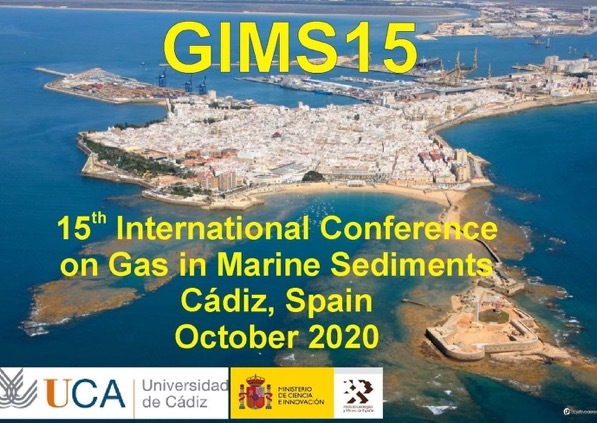 Next 2020 International Conference on Gas in Marine Sediments will be held in Cadiz, Spain. 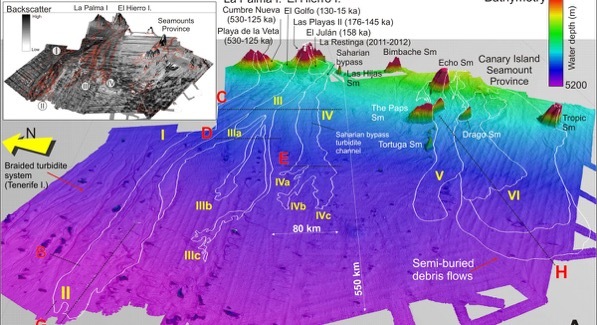 Cold-water corals and hydrocarbon-rich seepage in the Pompeia Province (Gulf of Cádiz) – living on the edge. 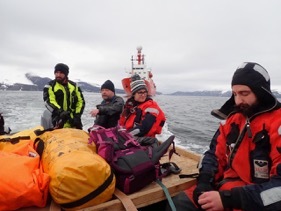 Biogeosciences Discussions. Oct. 2018. 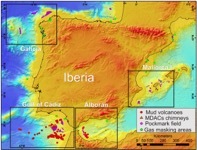 Catalogue of gas seeps around the Iberian continental margin: Atlantic vs. Mediterranean.14th International Conference on Gas in Marine Sediments (GIMS 14). Oct. 2018. 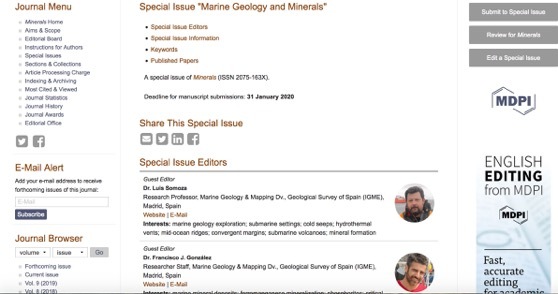 High-Resolution Analysis of Critical Minerals and Elements in Fe–Mn Crusts from the Canary Island Seamount Province (Atlantic Ocean). Minerals. Jul, 2018. 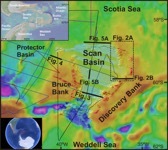 Morpho-structural and sedimentary characterization of a new seepage feature in the Gulf of Cadiz: Henriet mud volcano. 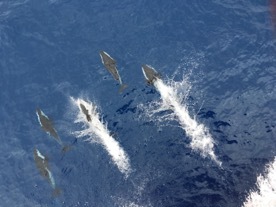 ISMS-2018 VI International Symposium on Marine Sciences. Jun 2018. 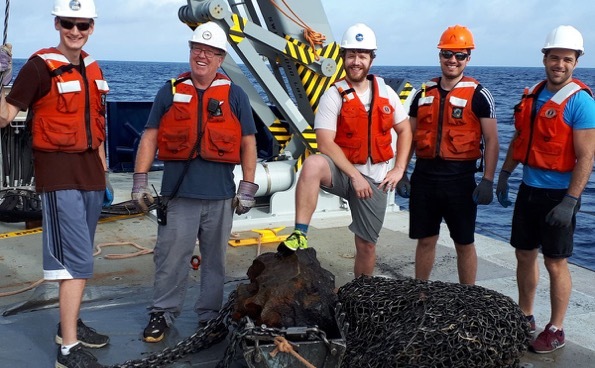 Mapping deep-water chemosynthetic-based seabed habitats from the southern NE Atlantic: from cold seeps to hot vents.Mapping the deep Atlantic seabed. 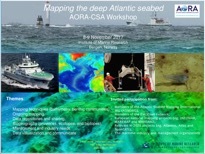 AORA-CSA Workshop. Nov 2017. The acid crater lake of Taal volcano, Philipines. 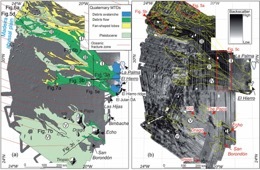 Hydrogeochemical and hydroacoustic data related to the 2010-11 volcanic unrest. In:. 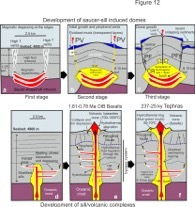 Geochemistry and Geophysics of Active Volcanic Lakes. 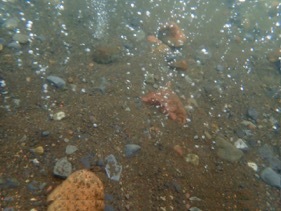 Surface CO2 emission and rising bubble plumes from degassing of crater lakes in Sao Miguel Island, Azores. 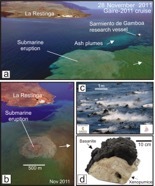 Geochemistry and Geophysics of Active Volcanic Lakes. Google Analytics es un servicio de análisis web proporcionado por Google. Google utiliza los datos recogidos para monitorizar y analizar el uso de este sitio, elaborar informes sobre sus actividades y compartirlos con otros servicios de Google. Google puede utilizar los datos recogidos para contextualizar y personalizar los anuncios de su propia red publicitaria. Datos personales recogidos: cookies y datos de uso. Lugar de procesamiento: Estados Unidos. Consulta aquí la política de privacidad de Google.